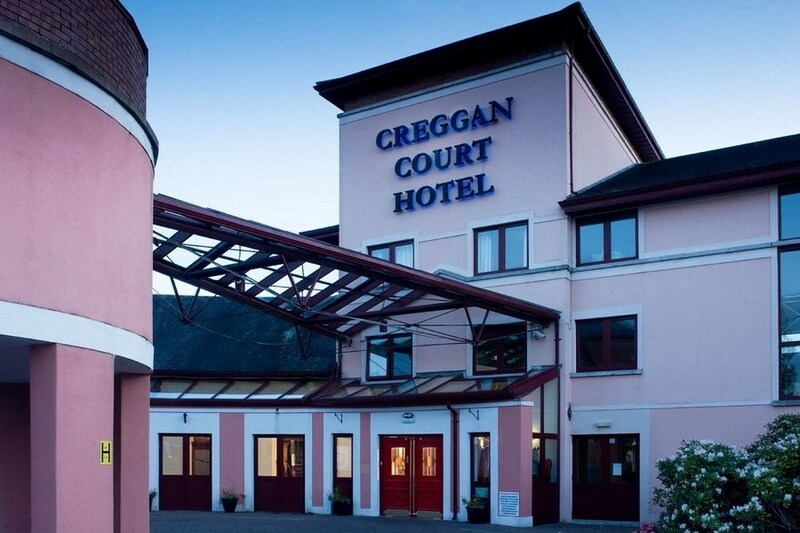 The Creggan Court is a central, convenient hotel just 1 mile (1.6 km) from Athlone and close to the N6 motorway. It has free parking. Other features of Creggan Court include conference facilities, free newspapers Please note our Family room consists of 1 Double 1 Single bed & a camp bed if required.A valid credit card will be required on check in for all bookings, including pre-paid bookings and reservations being settled by cash. Reception will pre-authorise your card upon arrival for incidentals and valid photo ID corresponding with card details is also required. The hotel is ideal for Clonmacnois, Ely O'Carroll and Goldsmith country, not forgetting the beautiful Shannon Basin. Fishing, walking, horse riding and local heritage sites are popular with visitors. My wife and myself booked a 3 night stay for just after Christmas,we were so pleased with everything we decided to stay for a 4th night. We were allocated a lovely room on the second floor overlooking the front of the hotel. The weather outside was very cold but that didn't bother us as the room was very comfortably warm, indeed throughout the hotel was perfectly warm.The food is top notch,tasty, and generous portions. Their chipped potatoes ( French Fries ) are the nicest that we have tasted anywhere. During our stay the hotel were running an offer of Spend €30 on bar food together with drink, and you were given a bottle of champagne free, a very nice promotion at the time of year. 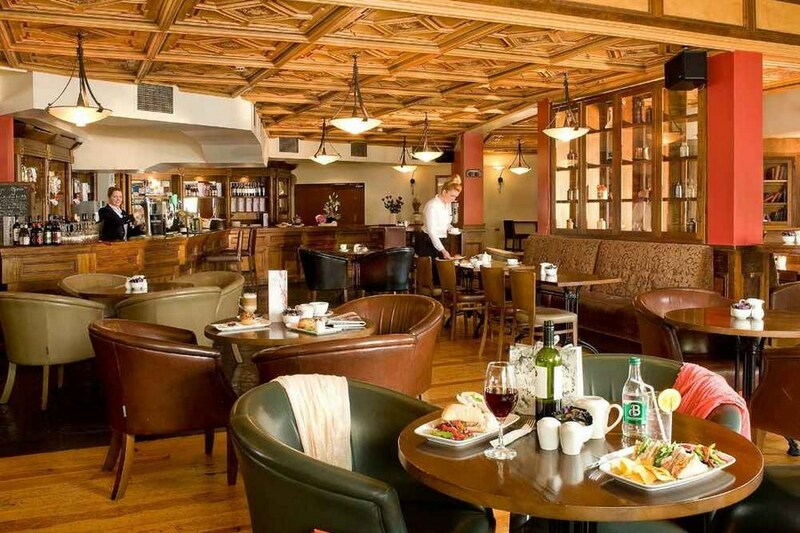 The staff are very friendly and there is ample car parking spaces all around the hotel. There is a public bus terminal outside the hotel and the buses from there will take you in to Athlone town centre in a few minutes. The buses run approx every 15 minutes. For some reason Bus Eireann have no actual bus stop erected at the spot but the hotel reception will help to direct you to the correct spot. We would really love to come back to Athlone soon and this hotel will be where we will want to stay. Lovely hotel, room a little small but spotlessly clean, staff very helpful and efficient, carvery and breakfast very good, overall very good value. We stayed here for valentine's weekend and we found it to be a lovely hotel, a bit out of town though. Food was lovely, we ate here both nights. Breakfast was a bit disappointing as when the food ran out they were slow to refill the containers with more food, on both mornings. We found the staff very friendly and very helpful. We were looked after very well by Jay in the bar on both nights and he went above and beyond the call of duty to make us feel comfortable and welcome. Overall our stay was pleasant, but there were a few issues. - the bar service was a bit lacking - we sat at a table that hadn't been cleared, we had to ask two staff members to clear it. This was despite requesting a high chair from one of them when we arrived, it should have been noticed then. -Bar food a bit pricey for two toasties a tea and a pint it came to over €20. With hindsight we'd have probably gotten better value from carvery, but we had our evening meal planned for that evening so a light snack was all we required. -The room could have done with some net curtains to shield the sun, all it had were ordinary curtains and the light was streaming in. We had to close the curtains during the day. - The room was quite dusty - dust hung in the air for a long time. -The beds were very high. We've a 15 month old who was a bit unwell during our stay and had to move her into the bed with us. We had to place pillows around to act as a buffer as it was quite hazardous if she fell. - The travel cot provided (which she ended up not sleeping in) was placed right next to the wall mounted iron and ironing board. There was a wire hanging down next to the cot which if she pulled on it could have caused her serious harm if the iron fell on her. Hotel needs to be more mindful of such hazards with regard to children. - There was a fantastic waitress that took care of us for our evening meal (11th April). She went above and beyond especially as our daughter was unwell. She offered her food, made sure we were comfortable and that we enjoyed our meal despite the circumstances. Please pass on our thanks to her. - Staff on the whole are excellent at interacting with small children staying there. -Not the most inspiring view we had from our room, but I guess that can't be helped. -No leisure facilities/ pool etc.. (not that we noticed at least) I'd have liked to give 2.5 instead of 2. Couldn't stretch to 3/5 - sorry. we stayed for two nights in this hotel; clean and fresh; only one or two small things wrong, shower had no cold water coming through so couldnt be used and the iron wasnt working;breakfast was good and staff very nice and friendly (receptionist couldnt have been more helpful) ; if walking to the town its a bit of a trek ,roughly 8-10euro in a taxi. overall good value for money, would stay again. We had a lovely one night stopover in the hotel on Friday May 23rd.The staff were very friendly and accomadating. The breakfast was lovely and I would stay there again. the hotel was clean and comfortable.the breakfast was excellent and was served in the restaurant.Eevening was good but basic .Did not like eating in bar area. The Creggan Court was ideal for me as i was attending an event in the Athletics centre at the IT which is just up the road, The room was clean and comfortable,the staff were friendly and helpful. A lovely hotel in a good location. 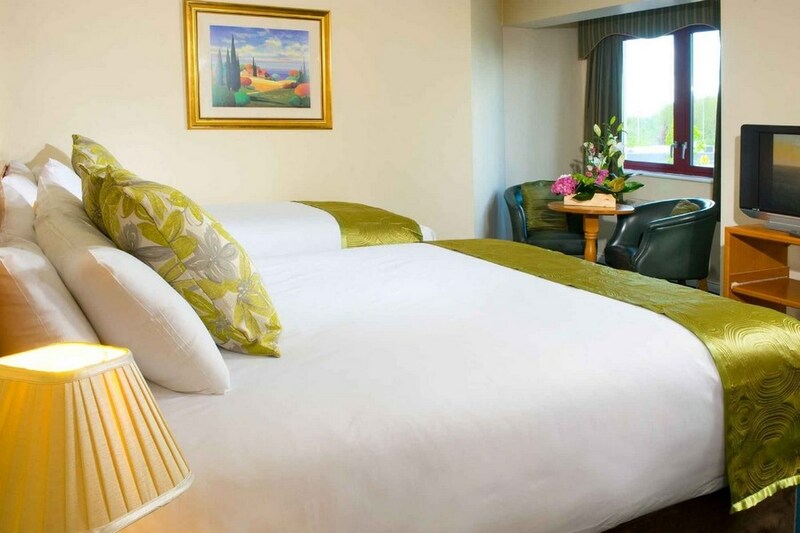 The rooms were clean & comfortable, the food was lovely & the staff were pleasant and helpful. We had no problems and would stay again. Had a really pleasant stay, the room was clean and spacious. Breakfast was grand. The staff were more than helpful. It's a reasonable hotel I was put off by some of the remarks but have to say it was grand and yes I would stay there again. stayed for one night with my wife and son daugher and partner. Booked a family room B&B for 2 adults and one child and a second d/b room B&b for our daughter and partner.Staff very friendly and helpful. rooms basic but good for the price. A little bit far out from town and expensive to get a taxi in. Charged an extra €5 on checking out for breakfast for our son. While I now see that on the site it does state the children pay extra for breakfast it is not clear on the booking confirmation that there is an extra charge for the childs breakfast. I queried the extra charge with the hotel but they confirmed that it stood. I was a little disappointed as we had spent quite a bit of money in the hotel for drink and food. This hotel was adequate but just about. Room was non-smoking but there was a very strong smell of smoke, very unpleasant and an ashstray on the table in the room which is a bit of a contradiction. Food was middling and choice very poor, breakfast was adequate, staff were inconcistent. Only that we had a voucher to use I would not stay here and don't plan to return. We had a really lovely time at Creggan Court Hotel. The food was excellent and the staff couldn't have been nicer or more helpful. we will definitely go back there again. Pat & Paddy Carroll. We enjoyed our stay very much in the hotel. The service in all areas in the hotel were excellent. The food was excellent, and served with very friendly staff. We found it a very clean hotel. It was very peaceful, and no late night disturbances just a brfillant place for a break. We found great vallue for money and will some day return again for a further break. Two stars. This hotel was adaquate in every way, twin bedrooms had one single wardrobe, the bathroom was not spotless especially the bath, no shampoo or soap supplied - nowadays one doesnt expect to have to bring these and it is a let down to find oneself without. The food was adaquate I would have liked to have had a choice to use the a la carte and to pay the extra even if I were on a bargain break, i didnt! the staff were pleasant and hellpful which saved the day for this adaquately run hotel! the hotel is central and convenient to Athlone.